For Leukorrhea (vaginal discharge) use 4 points in the inner legs of both sides. 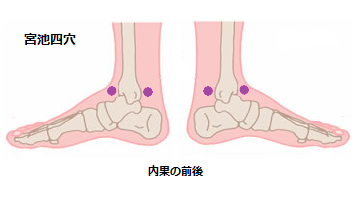 (営池四穴) = Take front and back points of inner ankles. These points are very useful for any kind of female matter same as SP-6(三陰交).